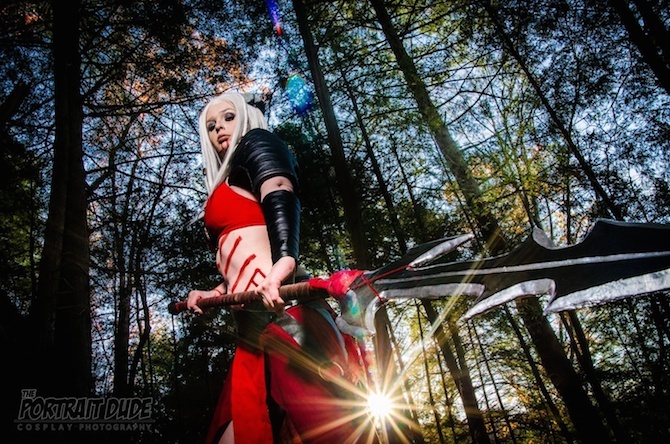 This cosplay gallery is a timed exclusive, available first on Project-Nerd. Dragon Age: Inquisition is around the corner. To celebrate the new game, Hailey S. Cosplay and The Portrait Dude gave Project-Nerd a peak at this amazing cosplay gallery. Hailey S. Cosplay is a Qunari warrior, which Dragon Age fans will recognize quickly due to the accurate characteristics. The white-haired, bronze-skinned, gigantic race found in the popular franchise is perfectly recreated with this series of images, captured in a beautiful wooden area for the full affect. As usual, The Portrait Dude exceeded all expectations with some incredible photos. That, mixed with Hailey S. Cosplay’s awesome costume has us even more excited for the game.